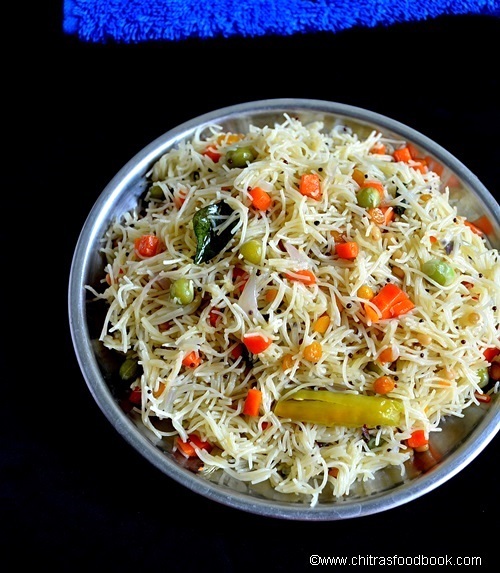 Semiya upma recipe (Vermicelli upma) is one of the easy and instant South Indian breakfast recipes.Tamil people make this upma and rava upma at least once in a week ;). 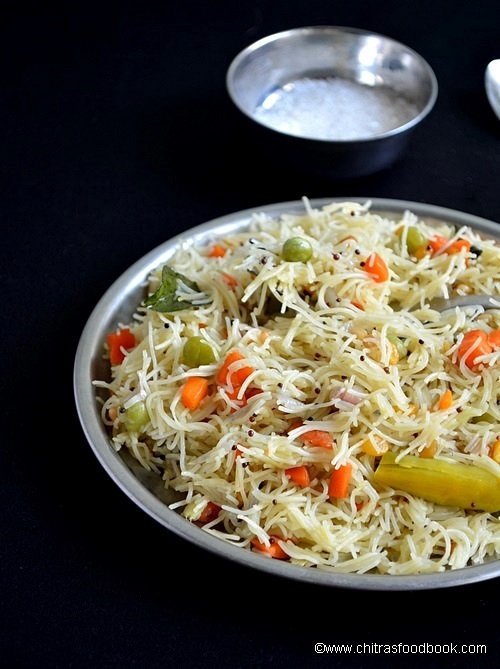 I usually make this vermicelli upma adding vegetables and sometimes without vegetables adding tomato, onions alone for guests along with idli or poori. Cooking semiya / vermicelli perfectly is the trick here. 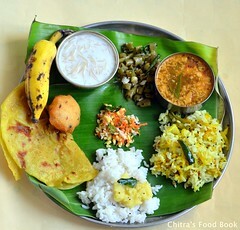 Its cooking time and preparation time is very less. So its ideal to make quick breakfast and not high in calories too. 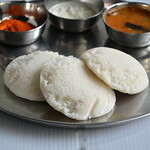 Mostly I use Anil semiya(fine variety) and very rarely I go for MTR or Bambino as they are thick. I feel thick vermicelli would go well for Semiya biryani/Pulao more than upma. Usually the ratio of semiya and water would be 1: 1.5 for fine vermicelli and 1: 2 for thick variety .Always add the correct water quantity to get soft and non-sticky vermicelli strands. It doesn’t need more oil or salt like rava upma. Yet it tastes great. 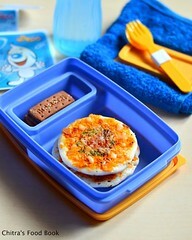 Sometimes I pack this for Raksha’s lunch box too.She loves it very much. I don't make any side dish for semiya upma. 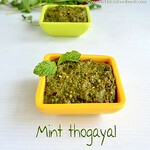 If you wish, you can make coconut chutney which tastes the best. 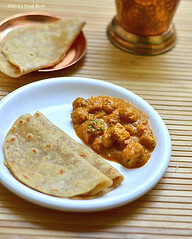 Bachelors can also try this recipe for breakfast. 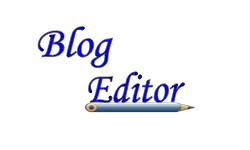 Your job will become much easier in busy mornings. 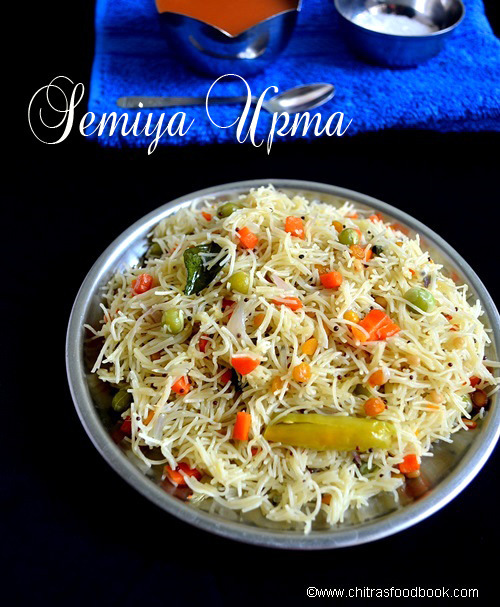 Ok, Lets see how to prepare semiya upma recipe at home perfectly with step by step pictures and video. 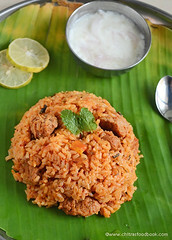 Check out my Rava Upma, Rava Kichadi, Rice upma, Fine Vermicelli upma, Wheat rava upma, Instant upma mix recipes too. Slice onions. Finely chop ginger and vegetables. Slit green chillies or finely chop it and set aside. In a kadai, heat oil and temper all the ingredients given above. Saute onions,carrots and peas till vegatables are half cooked. After onions turn transparent, add 2 cups of water and salt. Cover the kadai with a lid. When the water starts to roll boil, check for taste. If the salt is slightly high, it means you have added the right amount. Cover cook till carrots and peas get cooked. It takes 3 minutes maximum in high flame. Now reduce the flame completely and add the vermicelli. Stir well with a fork like ladle. Make sure the level of water and vermicelli are equal. Water should not be excess. Mix well, press it and cover cook for 4-5 minutes in very low flame. By now all the water will be absorbed by the vermicelli. Stir it once in the middle and check if it is cooked by tasting some. If you feel it is very stiff, hard and needs more water, add little more water ( few tbsp or 1/4 cup). Mix well and again cover cook in low flame for 2-3 minutes. Now it will be done. 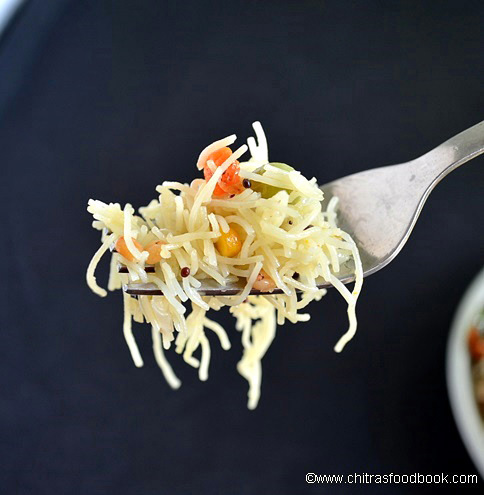 Take a strand of vermicelli and press it. If it becomes mushy, it is cooked well. Lastly add 1 tbsp of coconut oil (if you liked) and drizzle few drops of lemon juice. Mix gently and serve hot. 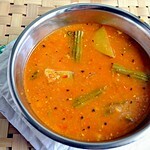 Always add 1:1 cup of water initially for Anil vermicelli. Add more water only if needed. For other thick varieties, 1:2 or 1:2.5 ratio of vermicelli and water would be needed. Addition of vegetables is completely optional. Sometimes I make it plain like rava upma. You can replace lemon juice by one tomato. It would be more colorful too. 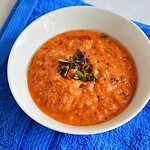 Serve hot with coconut chutney or sugar.Enjoy ! yummy.. I too do the same way using Anil brand..
very yummy post u have shared. Thanks for this food guide. 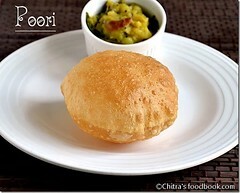 Looking so tasty and yummy ........ ! nothing can beat semiya upma esp with load of vegetables.